We often think of student life as a social experience — students from across the country and around the world coming together to build community on campus.But take a deep look at the university’s 400+ active student societies and you’ll see that student life at Dal is about a whole lot more than just that — and more than academics, too. Sometimes, it’s about pushing for social change. Typically, it’s students leading by example. And more often than not, it’s driven by a desire to build a better world, in our own backyard or halfway around the planet. At this week’s Dalhousie IMPACT awards, dozens of different awards will be presented by the university and the Dal Student Union to recognize the many ways individual students and student groups improve our communities, each and every day. And the most prestigious of these awards is the Board of Governors’ Award. The university’s top award for student life, the Board of Governors’ Award is presented annually to recognize exceptional contributions or leadership in the extracurricular realm — building community on campus, service in the broader community, improving diversity and inclusion and much more. 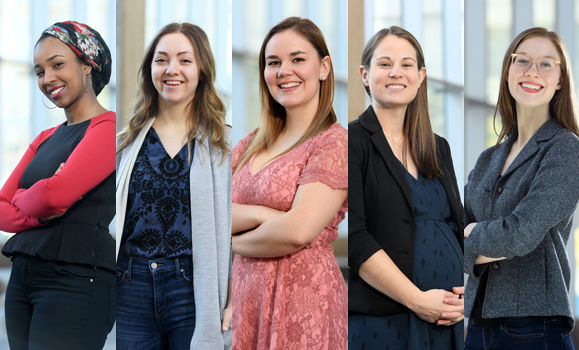 The recipients are nominated by their peers in the Dal community, and chosen by a committee consisting of the president, three Board members and the vice-provost student affairs. Aisha Abawajy may be a Computer Science student, but it’s her experience in the Faculty of Arts and Social Sciences that inspired one of her defining contributions to student life at Dal. Aisha, who is minoring in Political Science, was elected president of the Dalhousie Arts and Social Sciences Student Societyafter her second year, and took note of how few People of Colour were involved in the group. So she created a sub-committee of the society dubbed BIPOCUS — the Black, Indigenous and People of Colour Caucus — to create a supportive environment for racialized students to get involved and take on leadership roles. BIPOCUS is now a university-wide group, one that exists both as a social and community space, and as an avenue for advocacy and activism. 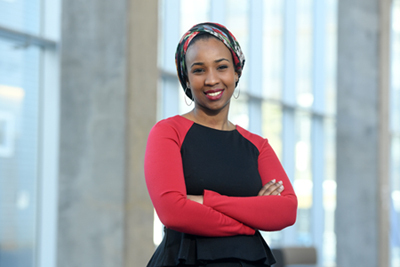 Aisha, who grew up in Halifax as a first-generation Canadian, with Oromo parents originally from Ethiopia, has spent her time at Dal driven by the same values that inspired BIPOCUS. A devoted O-Week volunteer, she organized the Dreaming in Colour event to put BIPOC perspectives at the forefront. In October 2018, she organized the first Maritime Racialized and Indigenous Students’ Experience Summit. And alongside all this, she has remained heavily involved in the Faculty of Computer Science — working as a TA, making the Dean’s List and winning the Faculty’s Leadership Award last year. Now, Aisha’s support for her fellow students is about to enter an exciting new chapter as incoming Dalhousie Student Union president for 2019-20. Given her academic and extracurricular interests, it’s amazing to think that Meredith Baldwin hated the outdoors for much of her upbringing. It wasn’t until she moved away from her family and community in Burlington, ON that she re-discovered her passion for nature — a passion that not only flows through her studies in Urban Planning and Sustainability, but her quest to get more people experiencing and enjoying the wilderness. As president of Your Environmental Sustainability Society (YESS), Meredith partnered with a fellow society member to create Trips by Transit (TBT) — a non-profit initiative that takes people out to wilderness areas and cultural spaces found along local transit routes. One such issue close to Meredith’s heart relates to the Backlands, a large unprotected wilderness area just outside peninsular Halifax that’s accessible by transit. By taking hundreds of local residents to the area on TBT outings, Meredith inspired an outpouring of support that convinced Halifax City Council to vote to protect the at-risk portion and create the city’s first wilderness park. Meredith would like to see TBT eventually expand beyond Halifax and its second location in Kingston, Ont., but she has stepped away from the day-to-day operations and passed the responsibilities to two other Dalhousie students. For her own future, she says Halifax now feels like home and she wants to stay put, perhaps working to help municipalities collaborate with non-profits to plan for climate change. Adjusting to university life can be overwhelming and stressful, especially when it involves relocating to a new city, leaving behind family and friends. No one knows this feeling better than Chloé Blackman, a second-year master’s student studying Community Health and Epidemiology. 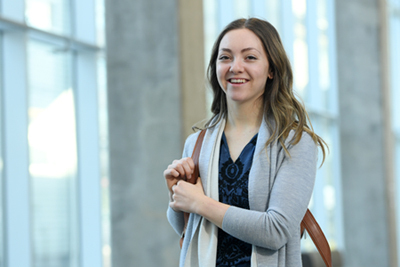 As an undergraduate student at Dalhousie, Chloé had a difficult time adjusting to university life. She felt isolated, and her mental health depreciated. It was about the same time that she became a founding member of the Dalhousie Medical Campus Response Team (DMCRT). The team, a subsidiary of St. John’s ambulance, is a student-run volunteer organization that focuses on providing first aid to the university community, offering services at major events and activities on campus. She helped the award-winning DMCRT develop a Mental Health Division — the first campus response team in Canada to do so — offering services including an anonymous email service, 'Let's Talk,' to help students access care for their mental health concerns. Chloé’s commitment to serving others stretches beyond campus. She has over 500 hours of community service at the Ronald McDonald House. She also volunteers with the Child Intensive Services at the IWK where she tutors youth on a variety of academic subjects. In the winter months, she also volunteers with the Out of the Cold Emergency Shelter. And her experience working in mental health informs her master’s research on prostate cancer and mental health for men. Now serving as president as DMCRT, her continued passion for others makes her a most deserving Governors’ Award winner. Newborn babies don’t come with instruction manuals. But what if they came with text messages full of evidence-based health information about the best ways to care for them? 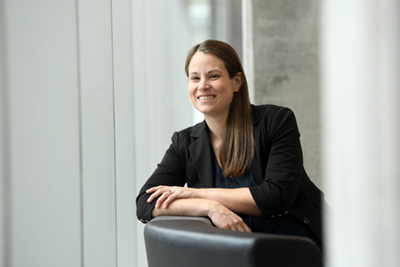 Justine Dol, a third-year PhD in Health candidate, wants to know if postnatal, text message-based infant care information delivered to new moms could increase their sense of confidence and knowledge of caring for their new babies, while also decreasing the feelings of isolation or anxiety that can affect some new moms. Justine’s early love of research was sparked while pursuing her undergraduate and master’s degrees in Ontario. But it was her community development work in Tanzania, Jamaica and Uganda that gave her research its focus. “I learned the importance of having women become empowered through different means, where they can gain confidence and community which increases their personal empowerment, as well as at the family or society level by having an extra source of income,” she says. On the heels of research positions at the IWK’s Centre for Pediatric Pain Research, Dal’s PhD in Health program (launched in 2015) was a natural fit to combine her interests in health international development. Her volunteer experiences — including as founding member and three-year president of the PhD in Health Student Society and with the Consortium of Universities for Global Health — strengthen connections between her peers and global opportunities. Science has the power to alter people’s lives. But sometimes discoveries remain stuck in the realm of experts — lessening their potential wider impact. 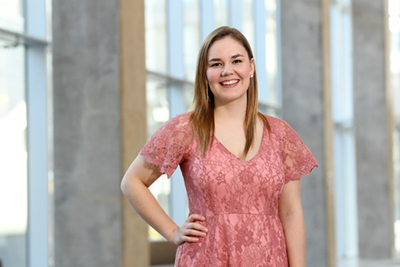 Graduate student Emma Finlayson-Trick is on a mission to help change that. “For me, science communication is about taking really complex ideas and reworking the ideas for someone who might not necessarily know the scientific content but can still come away from it with some understanding,” says Emma, a second-year master’s student from Vancouver studying microbiology and immunology. 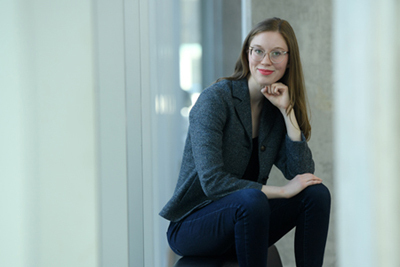 In 2015, as an undergraduate, Emma helped establish the Dalhousie chapter of the MIT-founded iGEM program, an initiative that engages teams of student scientists in applied synthetic biology research projects and public-engagement efforts. She became president of the Dal team the following year, leading the group to its first medal at the international iGEM Jamboree competition in Boston. She then created Atlantic Canada’s first-ever Soapbox Science event, bringing 12 female scientists from across Canada to Halifax last summer for an event that attracted more than 700 young people and fundraised scholarships for SuperNOVA’s girls-in-science mentorship program. Through her blog Think of the PLoSibilities, Emma has expanded the reach of her science-communications efforts to a global audience, with readers in more than 35 countries. She’s received several scholarships and awards for her cancer and disease research, and she was a finalist for “Science Champion” at last year’s Nova Scotia Discovery Awards. In the future, she hopes to attend medical school and eventually become a medical microbiologist — with concern for the broader public always top of mind.